Google claims that by the end of 2017, 100 percent of their data centers will be running off renewable energy. This is both great for the environment and great for Google, reducing their enormous energy consumption, which in 2016 matched that of the entire city of San Francisco. By using solar, wind, and other renewable energy resources, Google is ensuring it will never run out of energy or be reliant on external power again. If only this could be done for all resources: becoming self-sufficient, decreasing energy output and saving both time and money. In many ways, content is similar to energy. Google and many other companies rely on both to fuel their business. Like energy, content is being generated constantly—just think of the articles written before, during, and after a single NFL Sunday. The key is creating content that’s relevant without spending tons of money and time in the process. You want your content to be both great and plentiful, and you want it to be generated sustainably—like Google’s energy will soon be. To help you become self-reliant and stress-free when it comes to content, here are five ways you can turn your content into a renewable resource, ensuring that you never run out of ideas or waste precious time and energy again. 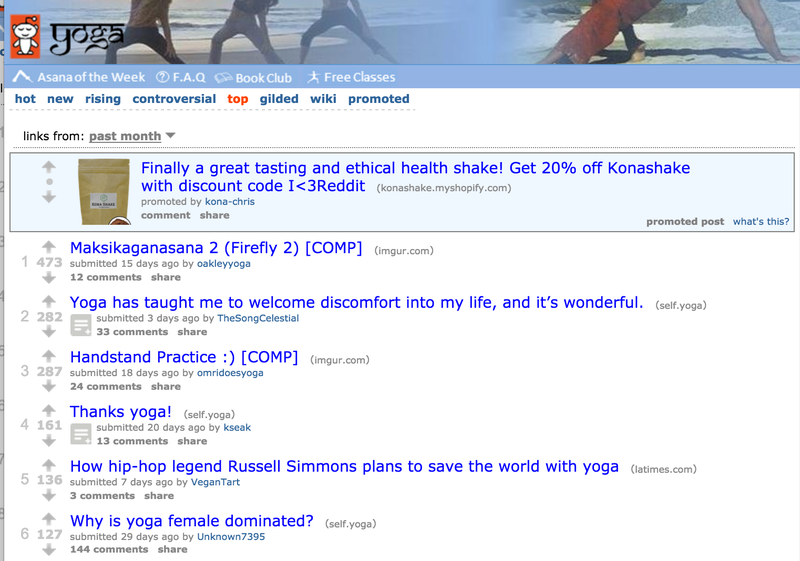 Reddit declares itself to be the “Front page of the Internet,” and for good reason. As of June 2015, Reddit had over 36 million registered users and millions of posts and comments. If you’ve ever been lucky enough to be on the front page of Reddit, you know the thrill of the accomplishment—and the agony of knowing how short the stay at the top can be. With a very large and active user community, Reddit sees millions of posts and comments daily. People come together in subreddits, which are small communities created to discuss specific topics in detail. There are subreddits all about the latest TV shows, video games, pop culture, politics, and more. Some of the most informed people on any given topic spend hours sharing their expertise with community members on Reddit. And trust me—I could go on and on! Are you doing better than last year or worse? Are you plateauing when you projected growth? Did you gain 10 pounds from working too hard or lose the 20 you’ve been meaning to lose? Are you fired up about a world-changing idea, or have you finally decided to stop working on a not-so-world-changing idea? Just as any NFL game gives birth to 100 plays, on which 100 articles can be written, so too does any day, week, or year of your business or personal life. Share your highs and lows with your audience. Sometimes you may know exactly why an idea worked or didn’t; sometimes your audience may have to point it out for you. Share your journey. You’ll be surprised how many people find value in learning from your struggles and successes. 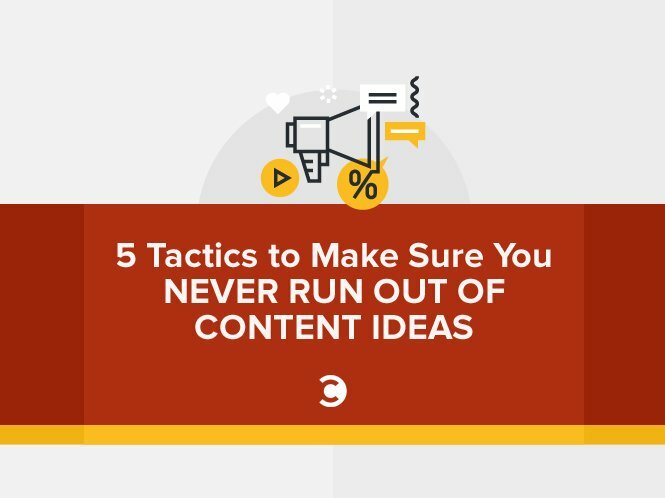 Rather than scouring the internet for content ideas, let Crate do the work for you. Crate is kind of like Buffer Suggestions, a content curation tool that was discontinued by Buffer but had thousands of users. Today, Crate has found 200,000 (and growing) curated articles to hit any niche or topic you want. While the site is built for content curation, it can also be a brilliant resource for anyone looking to find inspiration for their content. A Crate is a collection of relevant keywords, authors, Twitter users, and domains that the site uses to find content that’s relevant to you. This is why Crate is great for gaining insight into what type of content a specific audience might be interested in. From this, I can immediately see which content has generated the most shares and identify any trends. One trend I notice from this small sample is that Entrepreneur likes infographics. I also use Crate to find headline ideas. If I’m trying a tactic like Headline Swapping, or if I’m struggling to come up with a unique headline idea, I’ll use Crate. If you know anything about hip-hop, you know that a big part of what makes the genre unique is the remixing and sampling of other artists’ work. A$AP Rocky takes the hook from a Rod Stewart song, or Tribe Called Quest samples Elton John. There are countless examples of musicians who take inspiration from older works and turn them into something special. Speed it up. Slow it down. Put it on repeat. Content is no different. Okay, it’s a little different—but go with me here. 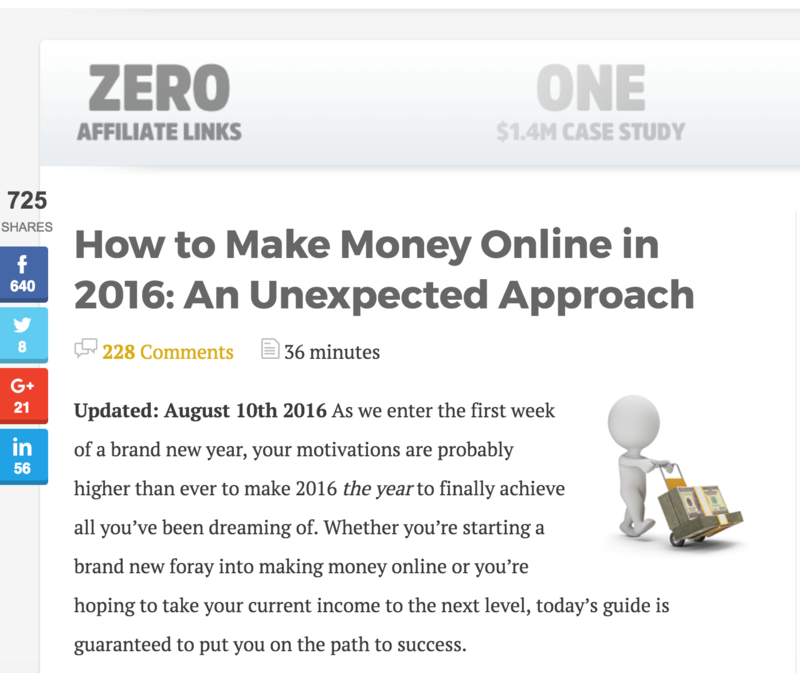 If you’re a content creator, you may have already created hundreds or even thousands of articles or posts. Sometimes what you need to create has already been written—by you! By moving your own words around and putting them in the right format, you can hit the right audience and create a hit. And republished it as a Medium post to give the content a second life. Similarly, I’ve taken old blog posts and remixed them into SlideShare presentations. Sometimes it’s not the content itself that would benefit from a remix, but the way it’s delivered. A blog can become an infographic; an infographic can become a blog or a video post or a white paper. Remember that SlideShare you created? Remember that study you conducted? Use the resources and tips in this post to beef up one of your older pieces of content. Wouldn’t it be great if you knew what other people were thinking? If you knew everyone’s thoughts, you would be able to close any sale, win any hand of poker, or avoid that awkward moment on the street when you and a stranger end up doing a dance as you try to sidestep each other. And if you knew what people were thinking and searching for online, you would be able to create content you knew for sure would receive quality views. Luckily, you can. Enter Google Keyword Planner. Rather than guessing what your readers are looking for or scouring social media to find a talking point, use Google Keyword Planner to see exactly which words are searched and in what combinations, so you can find what to write about and which keywords to use. From this, I can quickly see that yoga poses, yoga exercises, and yoga asanas are topics that my audience would find interesting. 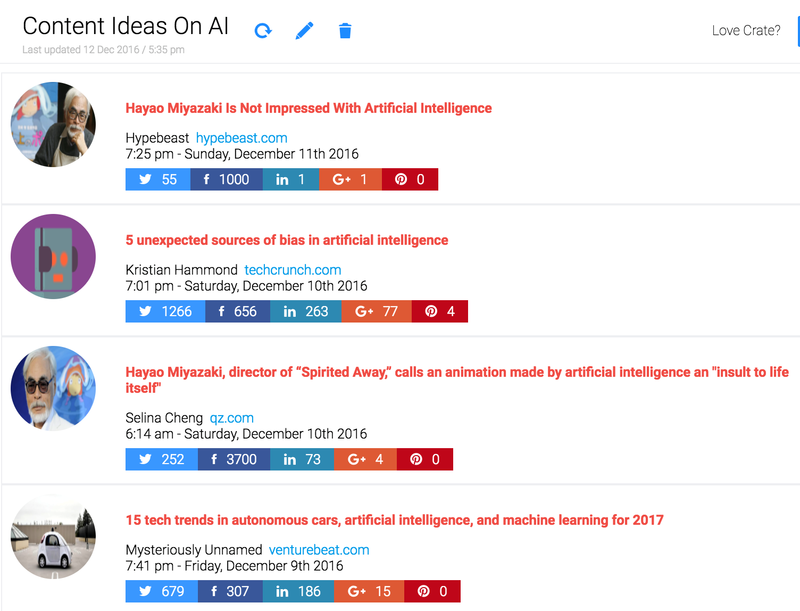 Then I can plug these phrases into a tool like Crate or BuzzSumo and see what relevant content comes back. Though these are tried and tested methods that I use to come up with content ideas, they aren’t the only ways to find content inspiration—I’m sure you rely on other resources I haven’t mentioned. That’s why I want to hear from you. 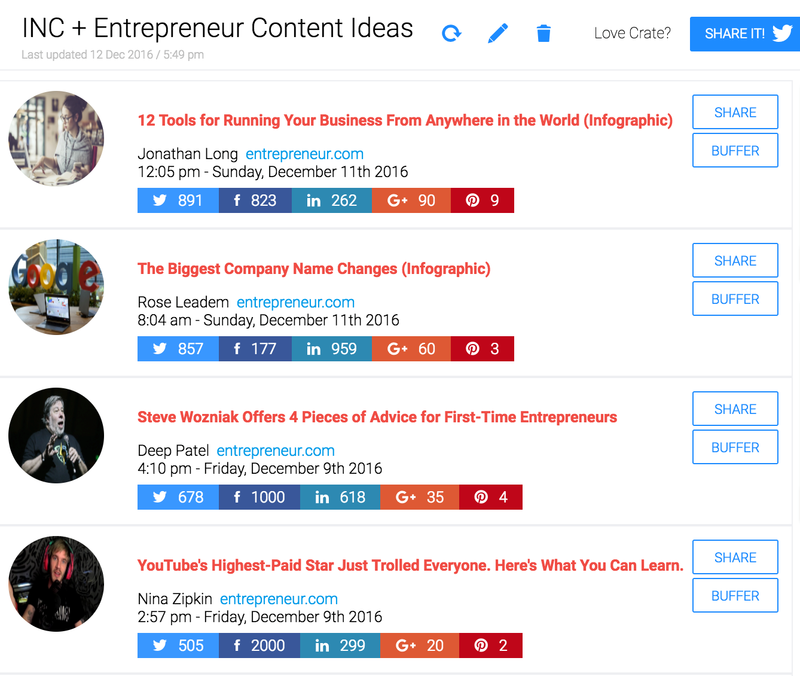 What tools do you use to find content ideas? If you’re feeling inspired by any of the resources I listed above, try them out and share your results. What cool content ideas did you find Let me know in the comments—I’d love to hear your take!